Don’t tell me you’ve found a way to “hack” your life, or your morning, or your productivity. I understand the appeal. Hack is a short word, useful in a headline. But it has a distasteful “clickbait” aspect to it, especially when paired with words like “insanely genius” and “awesomeness.” And as you see by the list, it’s overused. There are less tiresome words. “Trick” (clever or otherwise) or “tip” can often take over, as in “Steve Jobs used this simple productivity trick…” or “5 tips to make it work.” You could grapple with, deal with, cope, get by, overpower, overcome. You can boost your team’s productivity, share secrets, use tools. Can you suggest any alternates? Or do you like hack as a short way to convey your diabolical genius? 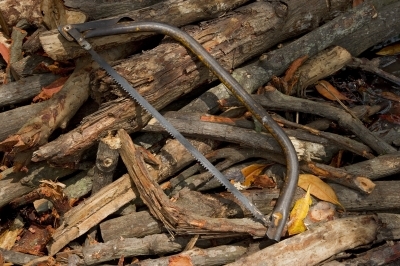 Image: Hacksaw by “think4photop” and FreeDigitalPhotos.net. We live in the age of hyperbole. Everything is the best, the greatest, the awesome-est. Suggests to me we don’t have enough real issues to worry about. Isn’t that the truth! Thank you for commenting, Richard. I agree it’s overused. I like its use only when it’s close to its true meaning of altering something (whether it’s code or an Ikea desk). You had me at the title. Thank you!